Take a half-day seminar to learn the 7 Lifestyle Principles for a more modern way to design and experience home. For homeowners, the health-conscious, and trade professionals. Are you excited (or frightened!) to decorate your home, but don’t know where to begin? Have you purchased furnishing you later regretted? Have you tried to duplicate some great ideas from HGTV, but got lost along the way? Is clutter imposing on your life and home? Is your home unfinished because you’re not sure what you want or what to do next? This is a workshop for you. In this fun, informative workshop, you will learn how your lifestyle and design style interact with each other to drive quality design decisions. Identify your personal style using the “Style Finder” tool. Learn about organization techniques to get rid of clutter. (It isn’t about better organizational containers). 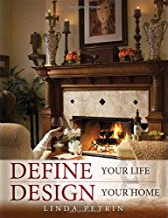 More than a design class, you will learn how to improve your lifestyle and create a beautiful home with the right design choices. For homeowners, church organizations, women’s groups, design centers, furnishings stores, real estate agents, and new home buyers. Do you want a healthier home environment? Are you struggling with weight management even though you diet and exercise? Are you trying to develop better habits, but have trouble sticking to them? Are you stressed by a home you can’t keep organized? Learn how the 7 Lifestyle Principles program can become a guide to a healthier home environment and to improve your well-being. Explore design features that produce better sleep patterns, colors that calm visitors and suppress appetite, and the art of “tidying up” to reduce stress. This informative workshop will equip you with lots of simple ideas you can use immediately, but also more major design influences for creating healthy habits and lasting changes in your well being. For health clubs, spas, retreats, health organizations, and individuals who are interested in designing a healthier home environment. Do your clients have difficulty filling out your lifestyle questionnaire? Are they unsure about what they want? Do you pride yourself in being a problem solver, but sometimes lack the right information to get to the heart of the problem? Do your clients want you to tell them what they want (because they don’t know)? Sometimes the most difficult part of the design process is gleaning enough information from the client to customize their home on their behalf. These are exciting times for design, but the options can overwhelm our clients. We need a process to organize and filter the needs of a client, improving our ability to customize information. This half-day workshop is an introduction to the 7 Lifestyle Principles program. This workshop empowers the audience with tools to add to their professional level of business, improve communication with clients, and meet the needs of a new generation of discerning individuals. Help clients clearly define their personal style and feel confident with their decision making, thus a happier client. For design centers, design associations, sales staff for furniture stores, interior designers, design firms, architects, professional organizers, and other professional organizations.